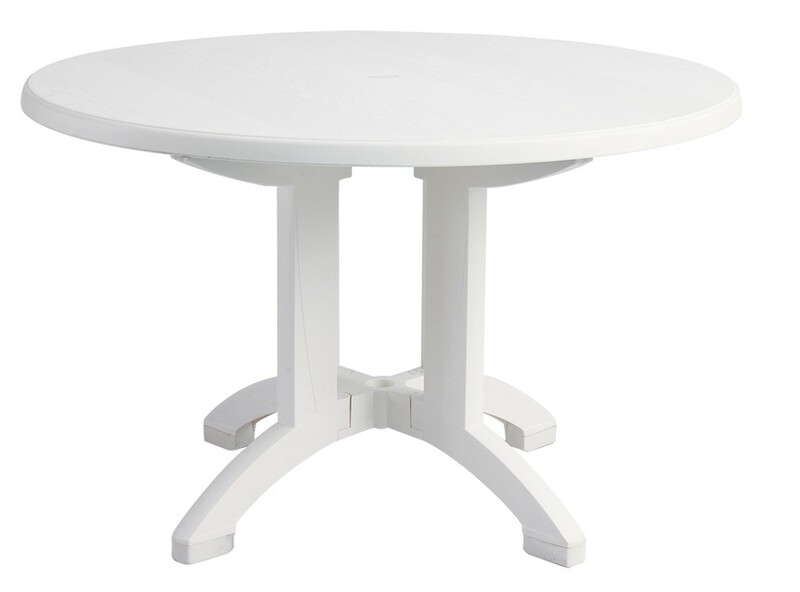 The Aquaba table has a tough whitewash decorative wood finish. It will retain its original color and beauty without graying - no oiling, sanding, or refinishing to be done. 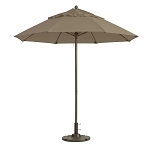 Large 4-prong pedestal base for extra stability. 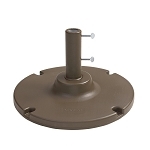 Umbrella hole with cap to fit any Grosfillex umbrella with a 1 1/2" hole.